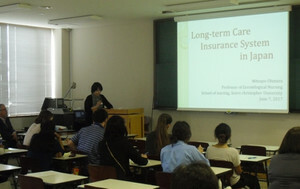 Let's look back on the program from June 5th to June 12th. 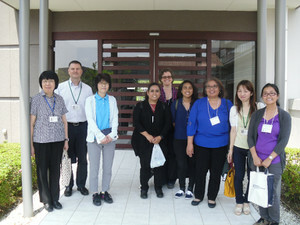 June 6th: Ten nursing students from SMU learnt about long-term care insurance system for elderly and nursing education in Japan in the morning at SCU. 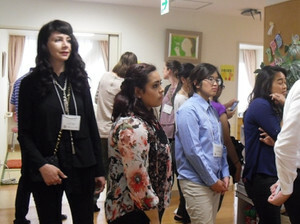 In the afternoon, they visited Seirei Mikatahara General Hospital (SMGH) followed by an obsevation of basic nursing skills lab for SCU students. 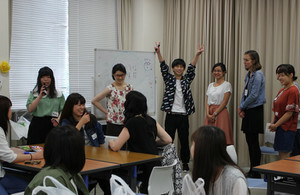 June 7th: They learnt the healthcare system in Japan in the morning and invited to the welcome event arranged by SCU students who visited SMU in March. 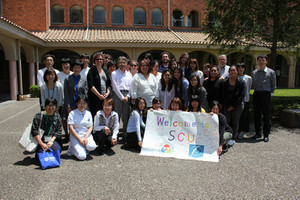 SCU students introduced their college life and played a game all together. 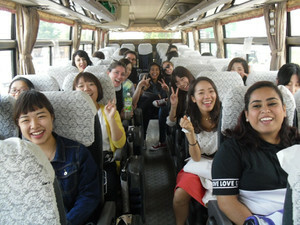 Eiffel, one of SMU students, sung a beautiful song for us! That was amezing! 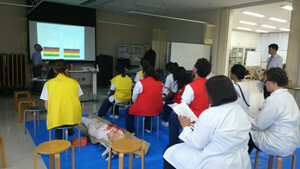 June 8th was a day to learn the disaster preparedness. 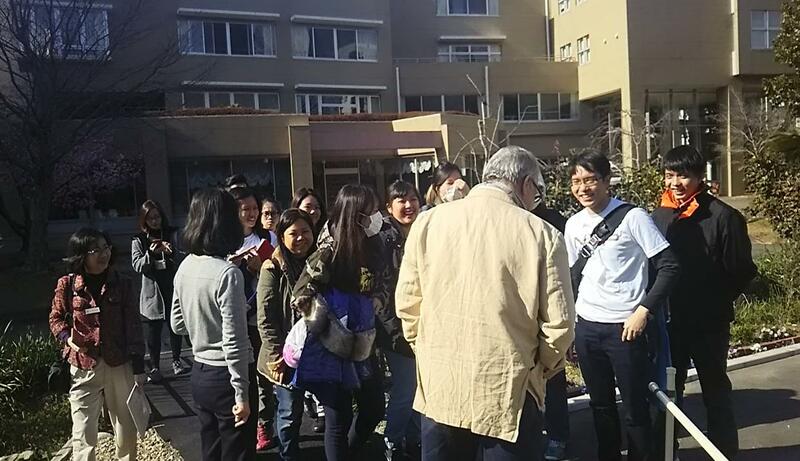 They visited SMGH again in the morning, and learnt the disaster preparedness of the hospital followed by the meeting with a flight nurse. 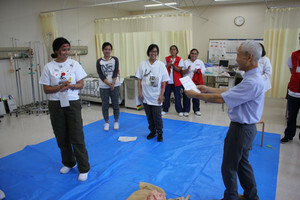 Then, next was a simulation of an initial triage at the time of natural disaster. 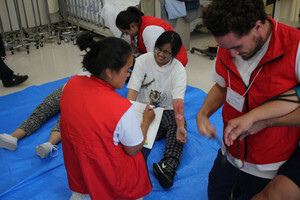 Students have roles of nurse and patient. 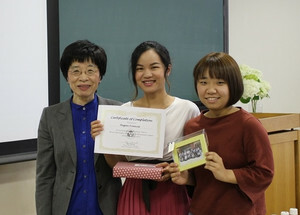 Two of students won the "best leading actor" and the "outstanding performance"! 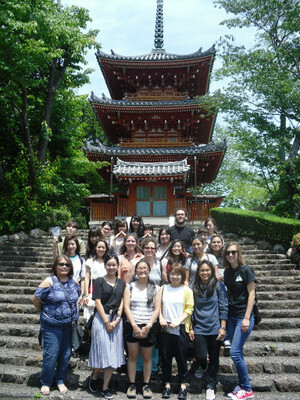 June 9th: SMU students were splited into four groups and each of them did shadowing to a home visiting nurse of Seirei group in the morning. 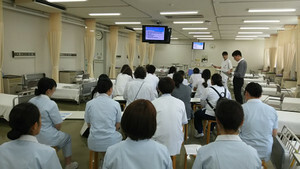 In the afternoon was a maternity nursing lab and SCU senior students explained how to give a bath to a new born baby. 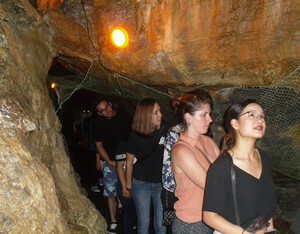 Everyone enjoyed while learning about many little precautions. 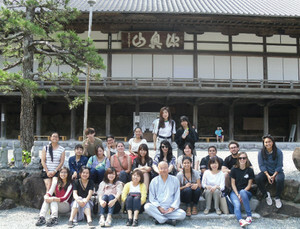 June 10th: SMU students went to sightseeing with SCU students. 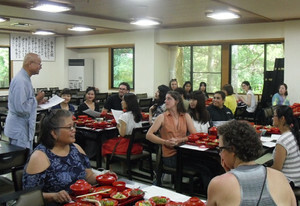 June 12th was the final day of the program. 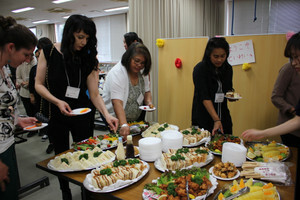 They experience a post-mortem care which is called "angel care" in Japan along with grief care. 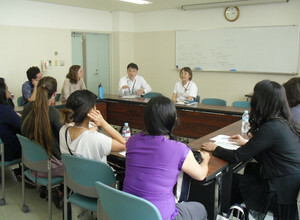 After the workshop, each SMU student share their feedback to SMU students and faculties at the closing session. 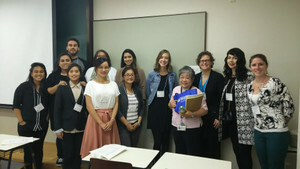 Then, Dean Fujimoto handed the certificate of completion to each SMU student. 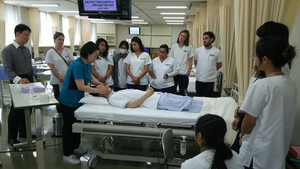 Through this program, all the students, faculty, and staffs learnt that nursing, education, and friendship are universal regardless of the culture and language.